Click on the Don't Go cover above to purchase the eBook. 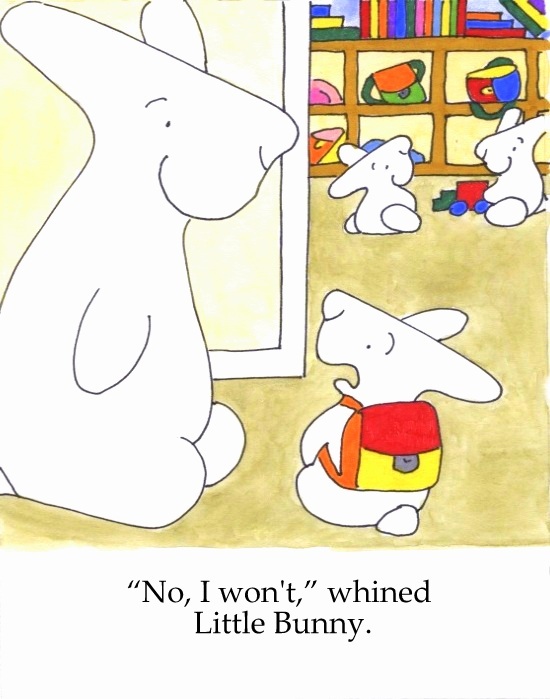 In Don't Go Little Bunny is devastated to be left at preschool. Find the crown Little Bunny makes in the book under Other Printables and the First Day seek and find under Seek and Finds.